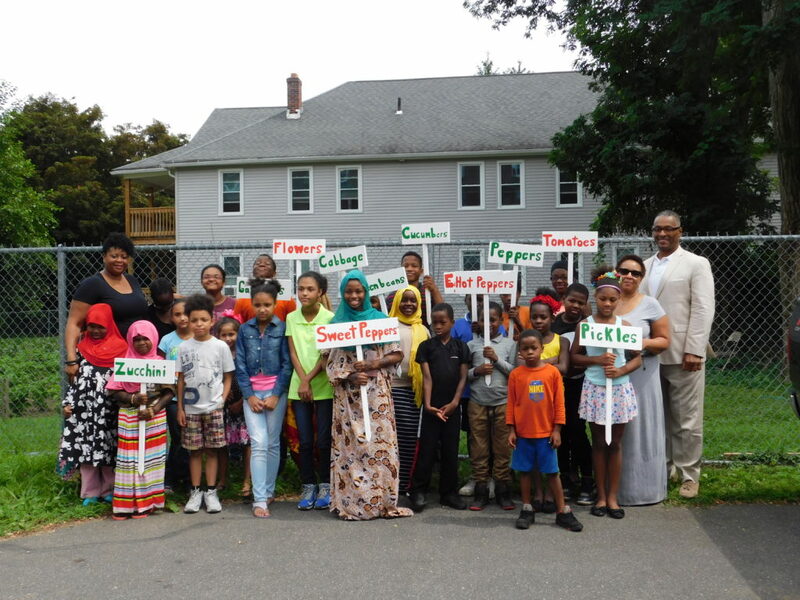 In bold colors of green, white and red, signs are flagging the way in the Community Garden at Springfield Housing Authority’s Riverview Apartments – made by children in the youth program, for the seniors who lovingly tend the plants. Flowers. Cabbage. Eggplant. Pickles. Zucchini. Hot Peppers. Tomatoes. There’s simply no mistaking the edible plants now, with the signs lovingly painted by the young hands in the Riverview Summer Youth Program run by ADC Prevention Services & Associates. The late summer project was meant to unite the young and old, and underscore an important lesson: No matter your own financial circumstances, giving back to your community is a good thing. Children in the youth program at Riverview Apartments walk towards the community garden with the signs they made for elderly gardeners. Indeed, the garden sign project produced an array of useful signs, a happy bunch of gardeners, and a roomful of smiling children at a pizza luncheon to celebrate the effort. Children agreed that the work was fun and came with a mission. “We all painted the signs together,” said Asha Abdi, who is 11 and a regular at the summer and after-school program at Riverview. “It was really fun. Everyone liked doing it. Now, we can see them in the garden,” she added. Riverview is the only SHA development that has units for both families and seniors/handicapped persons, making it ideal for collaborative events and projects such as this one. 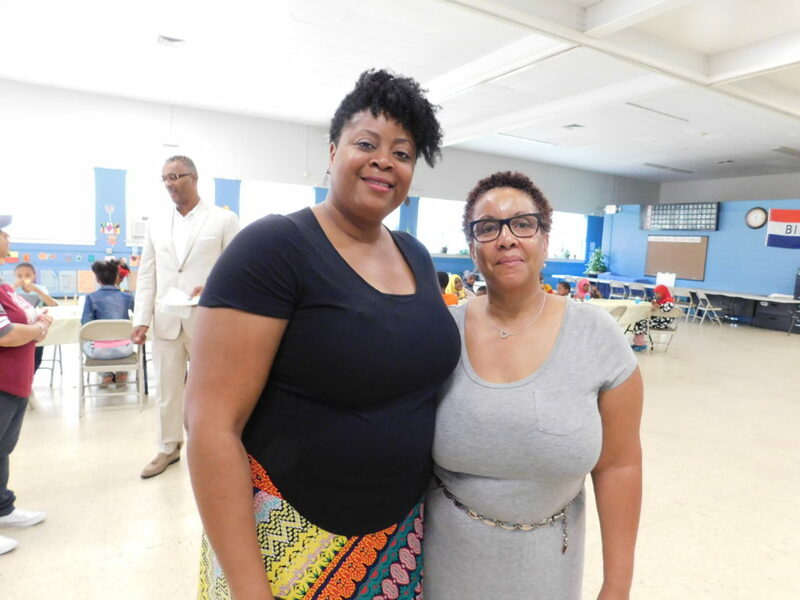 Tina Burston and Wanda LeValle, who run the youth program at Riverview, understand the value of doing your best, and giving back to your community. Raquel Sanchez is president of the Riverview Tenants Association, which provided the lunch for the youth. She said the sign project was a positive undertaking for the young that will show their appreciation and respect for the seniors who live there. In fact, the tenants group hosts a pizza part for the children every year, at the end of the summer, as a way to celebrate the close of a fun season and the start of another one – school. Arnold D. Cox of ADC Prevention Services agreed that the sign project is aimed directly at bringing the generations together in a positive way. 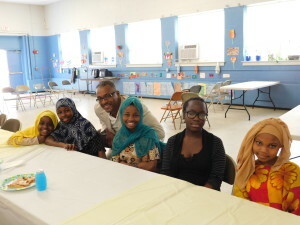 Arnold D. Cox of ADC Prevention Services, which runs the youth program at Riverview, with youth. We try to do different things – be creative – to get the two communities together. This is something that will be lasting. The gardeners will have signs to show what they’re growing, and the children will see the signs and know that they did something to give back to their community,” Cox noted. For the children, the project felt like a fun community effort. “The signs are good for everyone,” said 15-year-old Shoeb Adan, who has participated in the youth program over the years and understands its benefits. “This is good for all the kids who come here. They help you with your homework during the school year, and you get to make friends with the kids who live right near you,” said Sheob, who will be a sophomore at the High School of Commerce. 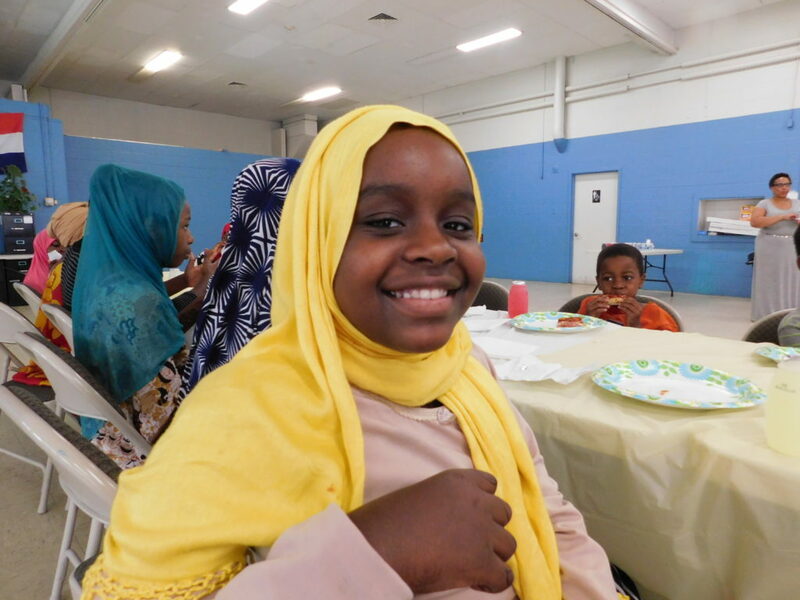 Saynab Mohamed, 10, loves everything about the youth program at Riverview Apartments. Ten-year-old Saynab Mohamed participates in the program when she visits her grandmother at Riverview. In the summer, that is nearly every day. Sally Hardy, program coordinator at all ADC youth programs with SHA, said community service is always a goal for the children, along with strong academics, and, of course, creativity and fun. 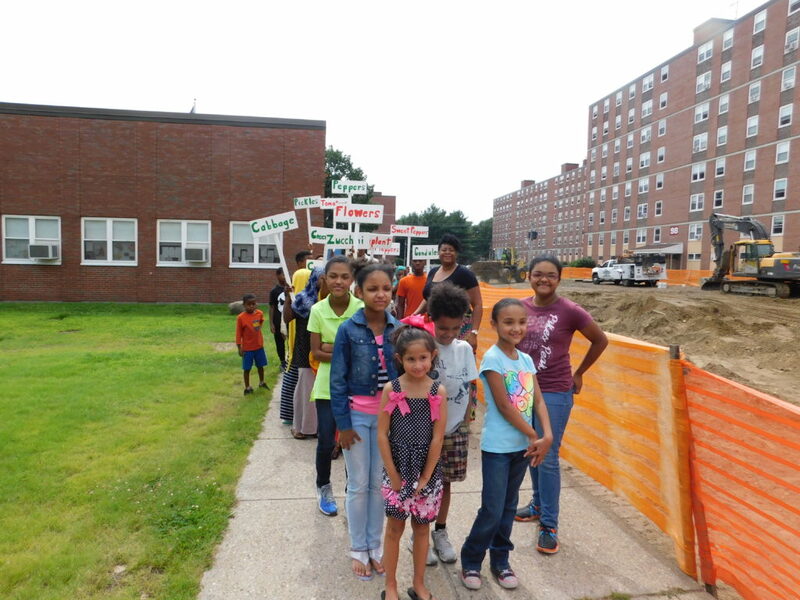 ADC also provides youth programming at Moxon and Duggan Park Apartments. “We’re always working to come up with activities that are good for the children, and for the community,” Hardy noted.